All patients will be assessed on the first visit. An explanation of the condition will be discussed, along with an outline of a treatment plan. If, following the assessment, treatment is not deemed appropriate, the patient will be advised accordingly and given advice as to what would be more appropriate for the condition. Examples of this include a simple home management regime to self manage the condition, or perhaps, a GP referral. The treatment plan may take the form of soft tissue massage/mobilisation, joint mobilisation/manipulation, acupuncture, electrotherapy, ergonomic assessment, postural re-education, strapping or exercise and advice - to name a selection! Often, it is a combination of many of these techniques that proves to be most successful. Progress is monitored and explained throughout the treatment process, with effective communication between physio and patient highly important. Don't be surprised if you go home with some regular homework! On discharge, advice is given on future injury prevention and how to reduce the risk of the injury returning. 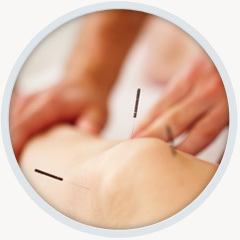 The key point is that whether you have been in pain for a long time, or have recently suffered an injury, the treatment process is always tailor made to best suit individual requirements. Please communicate with Sue, at the earliest opportunity, any reservation you have regarding treatment, or if you feel unhappy about any aspect of the care you receive. She will do her very best to resolve any concerns. Contact can be made by telephone, letter, or email. Please see the contacts page for more details.